Selected Top 50 Spanish Talent 2015 — Author “ThinkVideo: Smart Video Marketing & #Influencing” — +9 years experience in Startup’s and Digital Marketing — www.gerardgracia.com — Follow me on Linkedin. 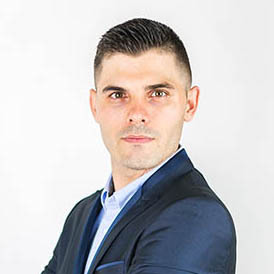 I’m the founder of Newvideo Congress, #1 European forum about video marketing & video influence, I also founded Vlogger Awards, the #1 annual awards that reward best vloggers by industry in Spain. Some brands and organizations we have worked with are Atresmedia ( La Sexta, Antena 3, Atresplayer ), El Corte Inglés, Accor Hotels, B The Travel Brand, Totto, JCDecaux, IAB Spain, Dircom, Obra Social “La Caixa”. During 2008 to 2013, I co-founded several projects such as events with RedBull as a main sponsor, a clothing brand for teenagers with a showroom in Barcelona and exclusive amenities for luxury hotels. After these learnings, we found out that the digital market was growing. We bought 3 premium domains and co-founded the following classified sites: Parkings.com, Cascos.net and Gimnasios.es. I have also tried many things that failed, but at the same time I learnt many important skills for success and learnt how to manage and motivate teams. I’m living the revolution of the tech, video and digital era, where content and context play a key role in achieving business and brand success. I’m fascinated by technology, business and marketing strategy. Last but not least, my mindset. Everyday is an opportunity to try, learn and share.